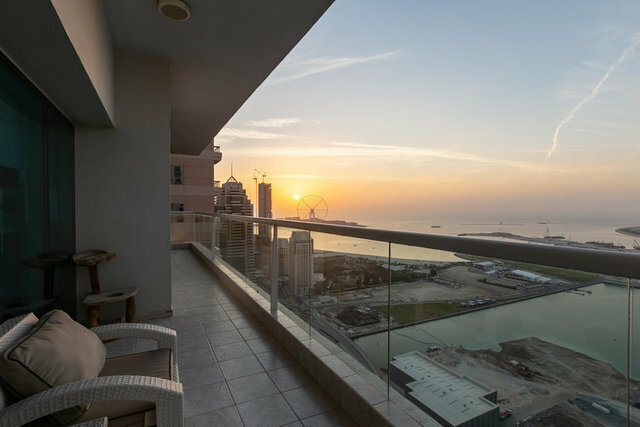 Gulf Sotheby’s International Realty is pleased to offer this fully upgraded 3 bedrooms + maid’s room apartment in Emirates Crown, Dubai Marina. Property details: • High Floor (above 30) • Offered with furniture • Full Sea and Palm View • Full wooden floor • Upgraded kitchen • Upgraded bathrooms • Attention to details • BUA 3,878 This property offers Marina Living at its best and makes the perfect home for those who want to experience the real luxury Dubai Lifestyle. Step out of the boiling and you are in the center of Dubai’s most vibrant and multinational community as Dubai Marina. Only a few steps to the beach and several five stars hotel as well as only a couple of steps the famous Dubai Marina Walk, with countless of options to dine, drink and to enjoy a stroll while watching super yachts going in and out the Marina. Contact Gulf Sotheby's international Realty today to have a viewing of this extraordinary property.